Today I'm sharing an adventure with Starship Captain and full time fiber artist, Ana Campos. Ana grew up in Brazil, surrounded by beautiful colors and a ridiculous amount of books. 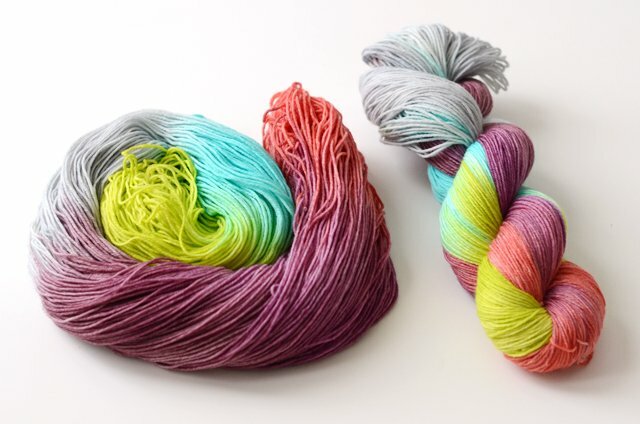 She now combines hues and stories in her bookishly inspired hand-dyed yarn and knitting patterns. You can find more of her work here. In some ways, the best part of being a full-time maker is that there isn't necessarily a normal day. The flexibility in schedule is great, so I can choose to do something completely out of the ordinary without giving anyone notice (as long as it doesn't conflict with my deadlines). On the other hand, the workload fluctuates a lot, so it can often mean working late into the night and on weekends. 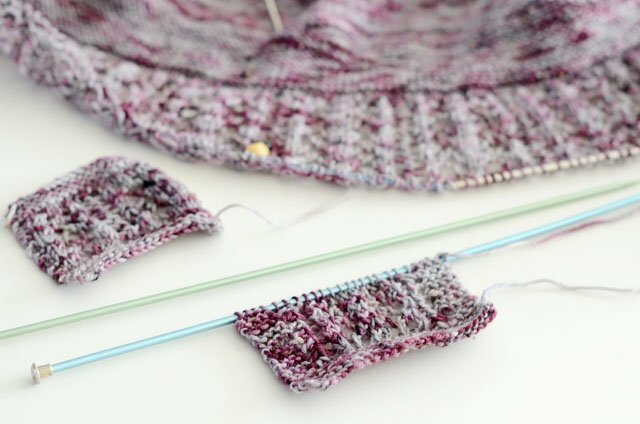 My time is taken up by a lot of things: dyeing yarn, working on knitting designs, book keeping, trunk shows, teaching classes, going to meetings, marketing, social media, product photography, customer service, and other odds and ends. The specifics of each day vary based on upcoming deadlines and priorities. 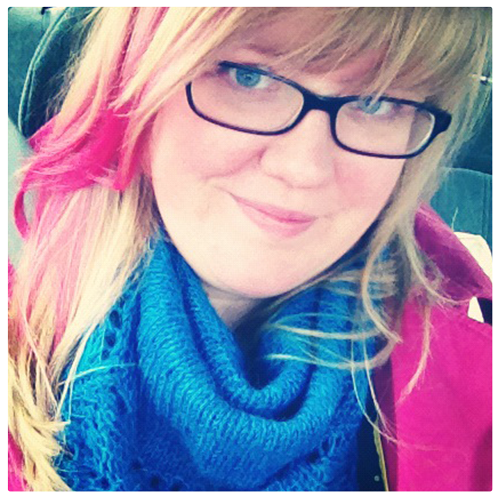 When I started my business, I was selling hand-knit goods. Since then, the focus has shifted to my line of hand-dyed yarn and knitting patterns. 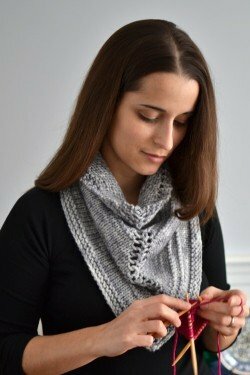 This means my customer base has shifted a lot – from people who buy finished knits, to people who are knitters themselves. What started as a strictly retail business is now a combination of wholesale and retail, and teaching is a big component of my business, too. My business is constantly evolving. For the last two years, vending at craft shows was a very significant part of my income, but the physical and emotional toll of the fall and holiday season was tough. I spent more than one Christmas morning nursing a bad cold, curled up on the couch with a thick blanket and a massive box of tissues. This year, I am exploring a different diversification of income streams to see if I can lessen my involvement in craft shows. My family will definitely appreciate having me be healthier and more present for the holidays. My definition of success is being able to pay my bills and have a bit left over to maybe go to the movies and have dinner out a couple of times a month. I definitely won't be buying yachts anytime soon! Success is something that a lot of us in the handmade business struggle with – if we make enough to be able to take a vacation, there is this perception that we are “making too much.” But people working “regular jobs” are expected to be able to take time off and perhaps travel a bit. I don't understand why there is an overall expectation that makers shouldn't be able to have the same luxuries that other professions have, but that is something I hope to combat as I move forward. 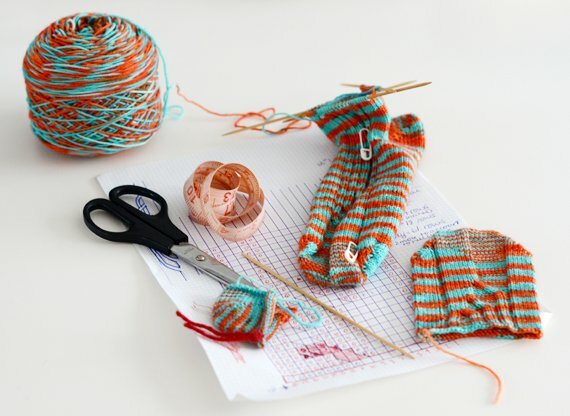 My new big thing is hosting my very first knitting retreat in May 2015. Community has become such an important of my life, both in business and personally. A year ago, I never would have imagined going in this direction, but I'm so excited! If you'd like to read more about Ana's story of quitting her full-time job (it happened aboard the Starship!) and those of her fellow Captains, sign up for the Starship Early Boarding Pass! I'll send you some more success stories of Starship members, along with notifications when the Starship opens – and closes – to new members.